“It’s such an awesome experience to design something raw like this,” architecture senior Sergio Ochoa said. The group decided to build their bench in front of Kennedy Library, where many students will see the quote. They also hope to create a sense of community. “We saw a lot of potential at this site,” Budidharma said. 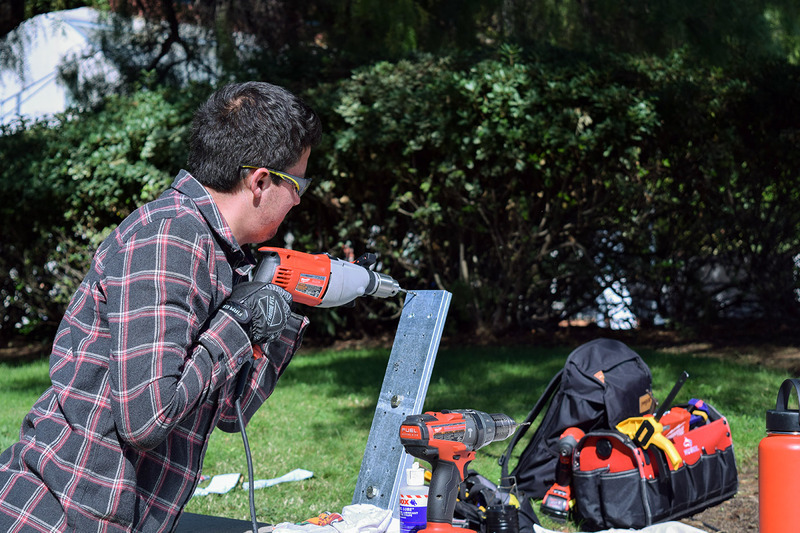 The three students came from different backgrounds and began designing the bench after conversations were swarming on campus about the alleged blackface incident, Budidharma said. The bench is made of galvanized steel and composite decking made of recycled bamboo donated by Cali Bamboo. Bamboo is quicker to grow than other woods and better for the environment. Cali Bamboo was surprised to see the materials they donated to the department used for benches, architecture professor Jonathan Reich said. The company said they were excited to see the finished project. “We’re trying to emphasize green building materials in these projects,” Reich said, who has supervised the construction of several benches around the architecture building. Since April, the group has spent 20 hours a week planning the bench. They galvanized the steel, counted the screws and cut the wood themselves, Johnston said. According to Ochoa, the the bench cost more than $1,000 in total. The students also built desks on the bench, inspired by previous models around campus, Budidharma said. 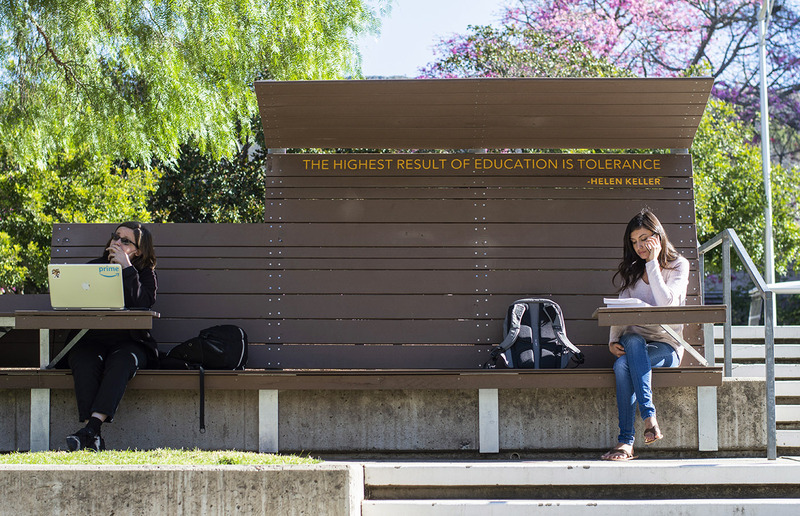 The desks will allow students to work off their laptops outside the library, under an overhang that provides shade. The students decided to tier the bench advancing vertically to the right as a design choice to make it adapt to the environment.